A follower on Twitter suggested an article on ten royal medieval weddings after the wedding of Prince Harry and Meghan Markle, the new Duke and Duchess of Sussex. I thought, why not? Could be fun. Please know this is not a “top ten” list. The marriages are in no particular sequence of importance and are listed in chronological order. I’ve relied on only one particular criteria in choosing these events. Which marriages had significant political consequences? Emma of Normandy was a real powerhouse. King Aethelred of England was besieged by Vikings and was searching for alliances to provide badly needed cash, men and resources to fight the invaders. Emma, the sister of Duke Richard II of Normandy, fit the bill. He offered her marriage and she brought a dowry. Emma came to England and assumed some influence and responsibility. She fulfilled her primary duty by providing two sons, Edward and Alfred, to continue the dynasty. When the Viking king Sweyn attacked and forced Aethelred off the throne, Emma and her sons fled to Normandy. After years of fighting Sweyn’s son Cnut, Aethelred and his son Edmund Ironside died, and Cnut became King of England. In order to protect her own interests and those of her sons, Emma married King Cnut and she bore him a son, Harthacnut. This marriage was successful and Emma once again gained some political power. When Cnut died in 1035, Emma backed her son Harthacnut for the throne of England. He reigned for a short time and died, leaving the path to the throne open to Emma’s son by Aethelred, Edward the Confessor. 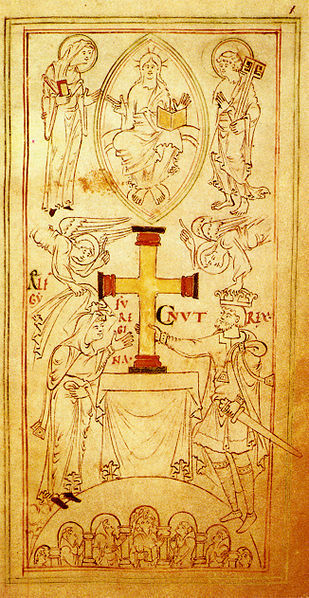 The initial marriage of Emma brought Normandy into the sphere of influence in England. Edward the Confessor grew up in Normandy and while there, may have promised the throne to his cousin William, Duke of Normandy. As we know, William invaded England and after defeating Harold Godwinson at the Battle of Hastings in 1066, became King of England and will forever be known as William the Conqueror. Eleanor of Aquitaine was one of the richest heiresses in the twelfth century. Because of this, she was first wedded to the French King Louis VII for nearly fifteen years. During this time, she went on Crusade with her husband and gave birth to two girls. We will never know the precise reasons for the breakup of this marriage, but it may have had to do with incompatibility and/or the fact that Eleanor didn’t give birth to any sons. Once Eleanor and Louis were divorced, it was imperative she marry right away to protect her interests. Eleanor chose as her next husband Henry, son of Geoffrey Plantagenet, Count of Anjou and the Empress Matilda, daughter of King Henry I of England. Henry and his mother fought his cousin King Stephen for many years of Anarchy over the throne of England. Peace was finally established when Stephen recognized Henry as his heir. Henry and Eleanor governed a kingdom that ranged from the borders of Scotland to the Pyrenees. Eleanor gave birth to many children, including five sons and she and Henry became a medieval power couple. The conflict known as the Hundred Years War began during the reign of King Edward III in 1337. Edward pressed his claim to the throne of France when a succession crisis was sparked there after the death of Charles IV, the last Capetian king. Edward had a claim through his mother Isabella of France but the French were violently against the English king becoming King of France. French lawyers came up with a convenient statute called Salic Law which barred a woman from the throne of France as well as any descendants in the female line. The French chose Philip VI, the first king of the House of Valois. Edward’s only resort was military means. This conflict dragged on with no clear resolution. When Edward III’s Lancastrian descendant Henry V took the throne of England in 1413, he invaded France and made great headway. In 1420, he brokered the Treaty of Troy with Charles VI of France which included a marriage to the French king’s daughter Catherine. Also, the treaty disinherited Catherine’s brother the Dauphin and specified that Henry and Catherine’s heir was to be King of France as well as England. Henry and Catherine were married just short of two years. Catherine gave birth to a son Henry in December of 1421 and Henry V died in August of 1422. Catherine would later marry a Welsh gentleman named Owen Tudor and had several children with him, including Edmund Tudor, the father of King Henry VII, the first Tudor monarch. Despite the Treaty of Troy in 1420, the Hundred Years War dragged on. Henry V and Catherine of Valois’ son Henry VI was technically the King of England and France but the French did not fully accept him as their sovereign when the mentally unstable King Charles VI died shortly after Henry V of England passed away. The disinherited Dauphin Charles was now King Charles VII in the eyes of many of the French, even though he was not officially crowned. Charles VII fought with all his might to reclaim all the territory won by Henry V. His luck didn’t turn until he was introduced to a young woman named Joan of Arc. But that is another story. England was rapidly losing its hold on the conquered lands on the continent. 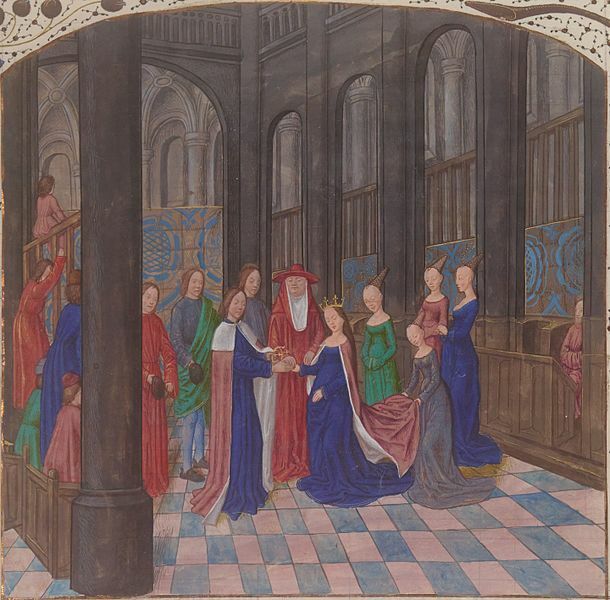 In an effort to make peace, Charles VII proposed that Henry VI marry his niece Margaret of Anjou. There were high expectations for this marriage even though the bride was destitute and brought nothing to the table for England. Henry VI unfortunately inherited the mental instability of his grandfather and was having trouble holding on to his throne in England. The conflict that came to be known as the Wars of the Roses was in full swing. Margaret of Anjou was forced to fight for her husband and for her son Edward of Lancaster. In the end, she came up against a formidable enemy in the son of the House of York, Edward. After years of struggle, Edward won the throne and became King Edward IV. Margaret’s son was killed in battle and Henry VI lost his life in the Tower of London. Margaret died in exile in France. Edward had won the throne and an immediate search began for a suitable wife. But Edward turned the tables on everyone and secretly married Elizabeth Woodville (Wydeville), the daughter of a gentleman knight, Richard Woodville and Jacquetta of Luxembourg. The marriage was unprecedented and impolitic and stunned the king’s councilors. Edward broke with recognized tradition and promoted members of Elizabeth’s large and extended family, endowing them with lands and noble titles to the dismay of the established nobility. 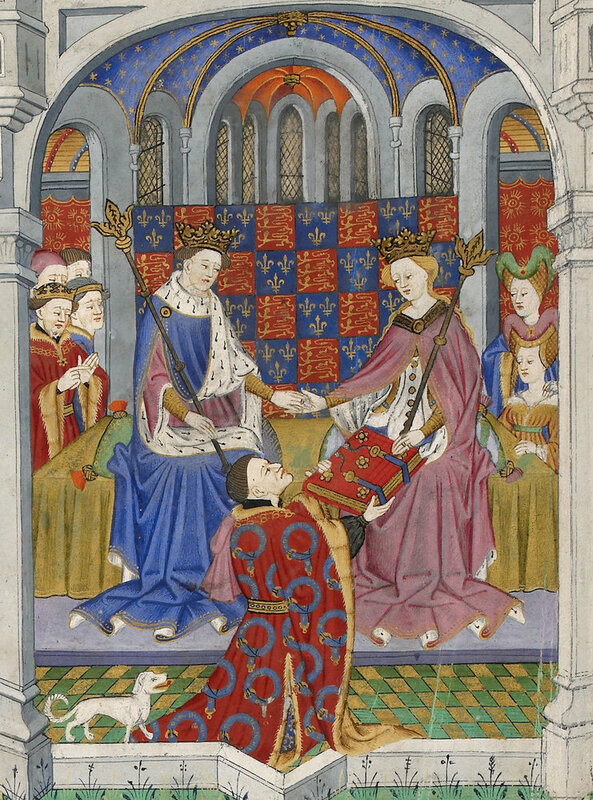 While Edward was not faithful to Elizabeth, the marriage lasted until Edward’s untimely death and produced many children including Prince Edward, Richard Duke of York and the eldest child Elizabeth of York among others. When King Edward died, the resentment of the nobility toward the Woodville family worked in favor of Edward’s brother Richard Duke of Gloucester. Richard obtained physical possession of the two Princes and they were housed in the Tower of London, never to be seen again. Richard had himself proclaimed King and the Wars of the Roses was revived. A plan was devised by Queen Elizabeth Woodville and Margaret Beaufort, a descendant of the House of Lancaster. 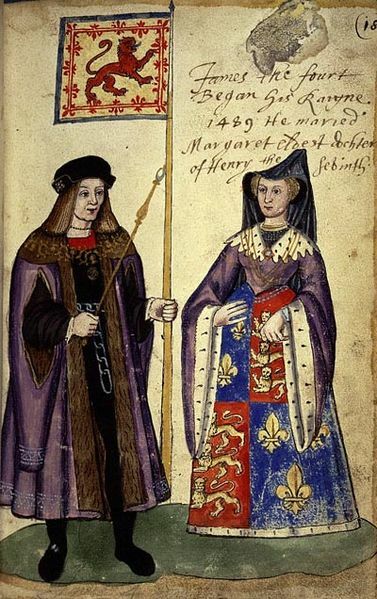 The heart of this plan was for Margaret’s son Henry Tudor to marry Queen Elizabeth’s eldest daughter Elizabeth, thereby uniting the Houses of Lancaster and York and bringing an end to the Wars of the Roses. Henry Tudor invaded England from France and defeated Richard III at the Battle of Bosworth in August 1485. Henry Tudor was now King Henry VII, the first monarch of the Tudor dynasty and married Edward IV’s eldest daughter. Elizabeth of York had a claim to the throne in her own right and the union of the two houses would have long lasting political consequences. Henry had a long road to establish his dynasty but did so effectively. Elizabeth gave birth to eight children four of which survived. Arthur, Prince of Wales, Henry, Margaret and Mary would all make their mark on English history in various ways. Henry and Elizabeth’s eldest son Arthur had great potential. He was given a strong humanist education and all the tools needed to be the next king. 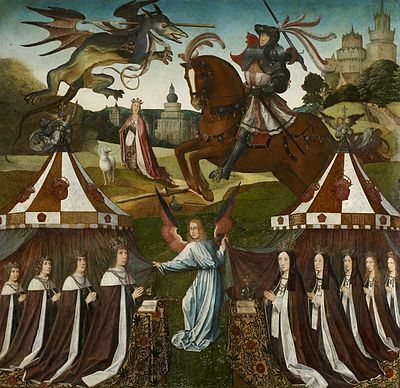 One of Henry VII’s greatest political coups was brokering a marriage for Arthur with Catherine of Aragon, the youngest daughter of the Catholic Majesties, Ferdinand and Isabella. This union between England and Spain was a recognition of England and the Tudor dynasty’s importance in European diplomacy. Catherine arrived in England in November 1501 and there was a magnificent celebration of the nuptials in Old St. Paul’s Cathedral. In December, Catherine and Arthur went to Ludlow so the prince could resume his duties. Unfortunately, Arthur became ill and died and Catherine’s position was in limbo for seven years. She remained at court in poverty, unable to leave England or to return to Spain. It wasn’t until the death of Henry VII that her fortunes took a turn for the better. She married the new king, Arthur’s brother Henry VIII. Catherine of Aragon and Henry VIII were married for many years. Catherine had numerous pregnancies but only one surviving child, Princess Mary. When it was clear Catherine could no longer have children, Henry looked to marry again. He fell in love with Anne Boleyn. But Catherine would never step aside and refused to give Henry a divorce. The pope refused to give an annulment. So what did Henry do? He broke away from the Catholic Church and proclaimed himself Head of the Church of England. Henry had his friend Thomas Cranmer, Archbishop of Canterbury proclaim his marriage to Catherine of Aragon null and void and married Anne Boleyn. As we know Anne could not give Henry a son either. But she did give him a daughter named Elizabeth after Henry’s mother. Elizabeth would become arguably one of the greatest English monarchs. Henry VII orchestrated another political coup for his dynasty. In January 1502, the Treaty of Perpetual Peace was finalized between Scotland and England with James Stuart, King of Scots. 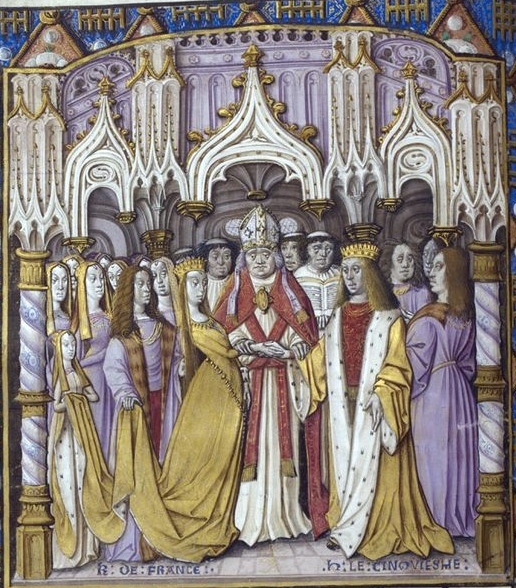 This treaty was to be solemnized with the marriage of Henry’s eldest daughter Margaret to James. The wedding took place at the Royal Palace of Holyroodhouse in August of 1503. Margaret gave birth to several children with James IV but only one survived, also named James. James IV took his troops to war against Margaret’s brother Henry VIII and was killed at the Battle of Flodden in September 1513. It was a devastating loss for the Scots. Margaret’s infant son became James V and was succeeded by his daughter Mary Queen of Scots who was succeeded by her son James VI. King Henry VIII bypassed the heirs of his sister Margaret when naming his successors to the throne of England. Despite this, Margaret’s great-grandson succeeded Henry’s daughter Elizabeth to become James VI of Scotland and James I of England, inaugurating the Stuart dynasty of kings. The third Stuart king of England was Charles II. He had spent eleven years in exile after his father Charles I was beheaded and was returned as king with the Restoration of the Monarchy in 1660. One of the first items on Charles’ agenda was to make an advantageous marriage. He found his bride in Portugal. In 1640, Catherine of Braganza’s father had led a Portuguese rebellion against the rule of Spain. During the rebellion, he was offered the crown of Portugal, the family moved to Lisbon and he became King Joao IV. Charles I of England was one of the few monarchs to recognize Joao’s position as sovereign. In 1644, Joao was successful in gaining independence from Spain. He sent an ambassador to England to negotiate a marriage between Charles I’s eldest son Charles and his daughter Catherine. But due to the Civil War in England, nothing ever came of the embassy. King Joao died in 1656 and his wife Queen Luisa ruled as regent for their son. She entertained proposals of marriage for her daughter and sent an ambassador once again to England, offering King Charles II a magnificent dowry. The dowry was to consist of the city of Tangier which offered England a port in the Mediterranean and Bombay which was a valuable base for trade in India. This was accompanied by the right of free trade with Brazil and the East Indies and a cash sum of £300,000, an enormous sum. In return, England was to provide military protection for Portugal if she was attacked by Spain. 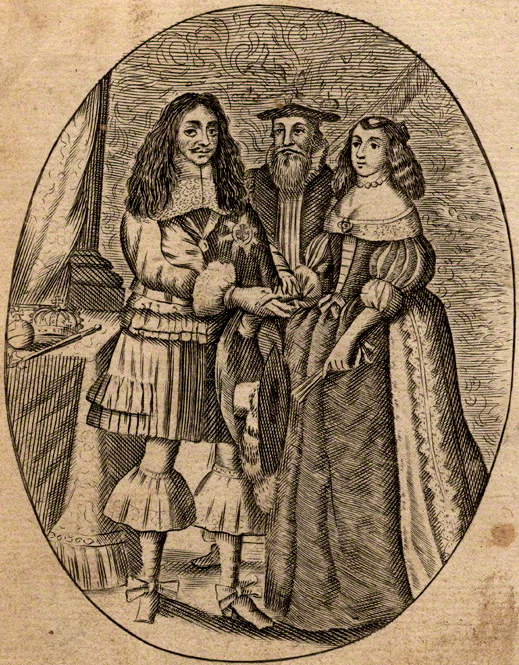 The marriage treaty was finalized on June 23, 1661 and Catherine and Charles were married on May 21, 1662. This massive dowry transformed the British Empire. England gained advantageous and valuable positions in India and increased trade in both Latin America and Asia. The major expansion in commerce changed the culture of Britain forever with the introduction of affordable sugar and spices and the refined drinking of tea. Is there any love between these two? I would really like to know if possible, what kind of a marriage it was? Was there genuine love? I believe you would find some mutual respect if not outright love in the marriages of Catherine of Valois and Henry V, Margaret of Anjou and Henry VI, Elizabeth Woodville and Edward IV, and between Elizabeth of York and Henry VII. A nice overview! I appreciate especially the Charles II/Catharine of Braganza information. England’s friendship with Portugal languished a bit under the Tudors. It was one of the oldest and strongest, reaching back to the Plantagenets. The strongest point came when Phillippa, daughter of John of Gaunt, married Joao I. Their progeny included Henry the Navigator. Portugal became a source of mutually lucrative trade alliances when it cornered the early African and Arabian markets. Had no idea that Catharine of Braganza’s dowry was so pivotal! Wow! If only she and Charles II had a living child! Again, thank you, Ms. Abernethy!